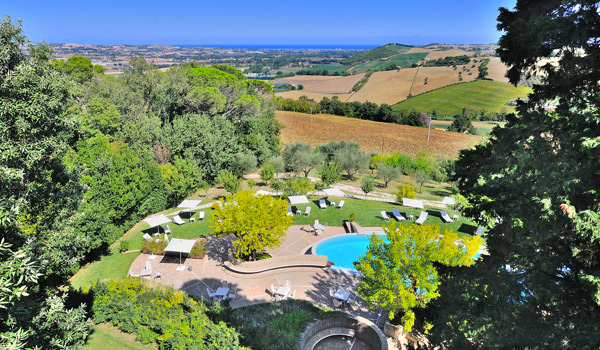 The Castello di Monterado is located in the heart of the Marche village of the same name, in front of a central square, with a great vantage point which offers its guests a stunning view of Cesano and of the surrounding hills. 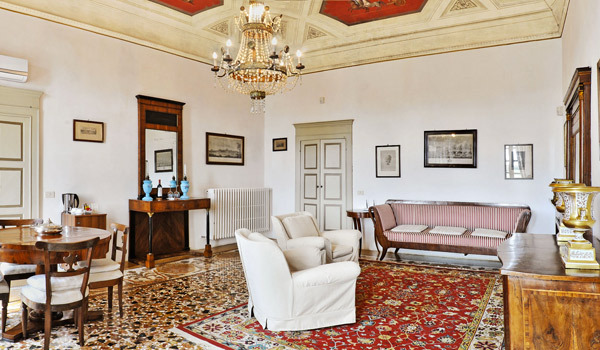 The Palace dates back to 1742, when the Collegium Germanicum became the owners of the village and decided to develop the olden structures and construct a huge palace to be their headquarters. 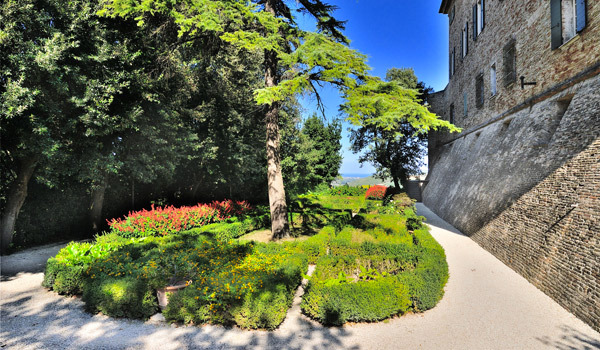 The ownership of the castle passed to Napoleon Bonaparte at the beginning of the 19th century, and was subsequently bought by Prince Maximilian de Beauharnais, the nephew of Empress Joséphine de Beauharnais. 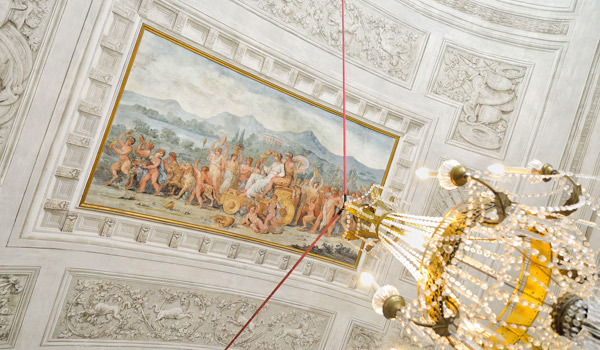 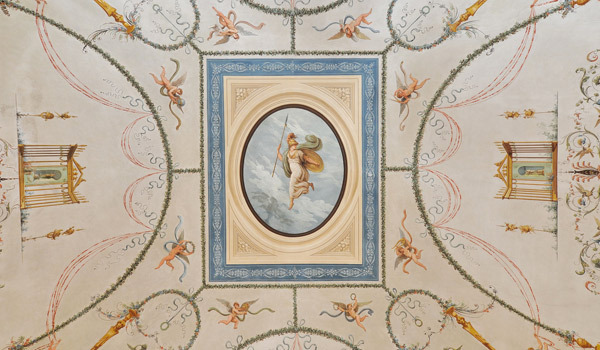 Maximilian had the vision of changing the structure into one fit for a princess and hired the Marche painter Corrado Corradi to paint a series of frescos, now on display in both in the common rooms and the suites. 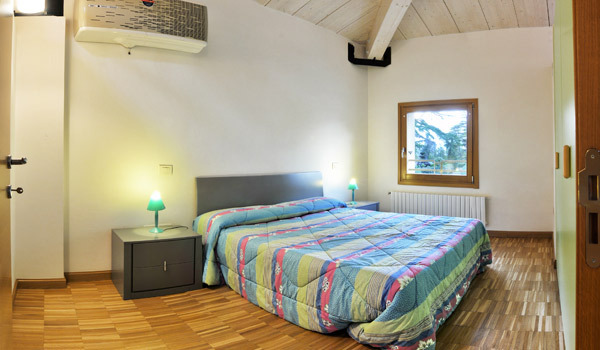 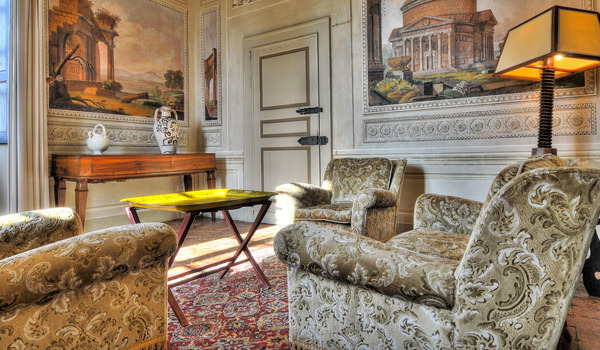 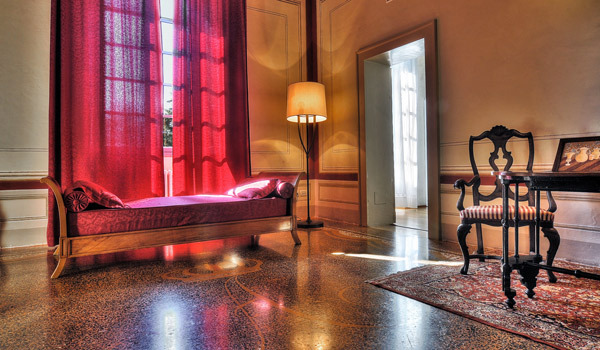 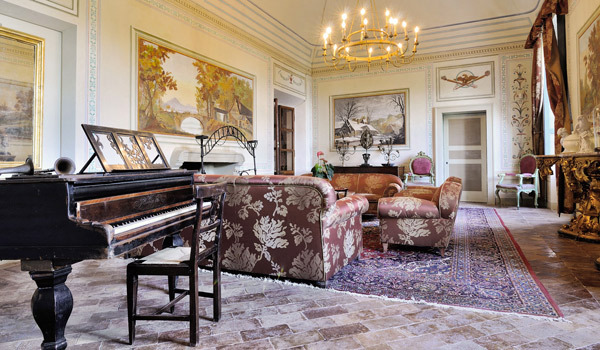 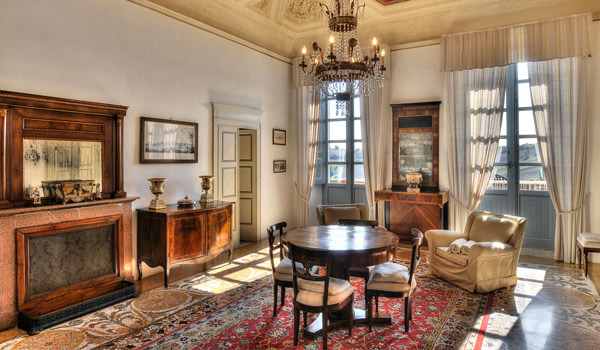 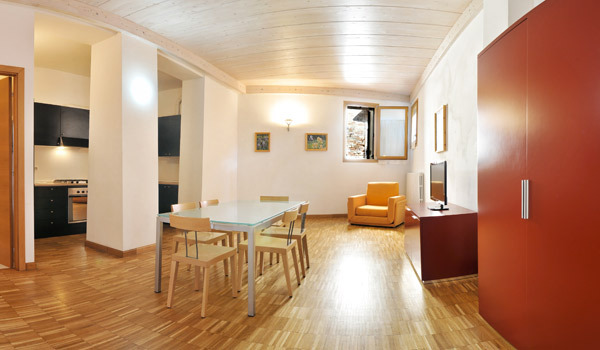 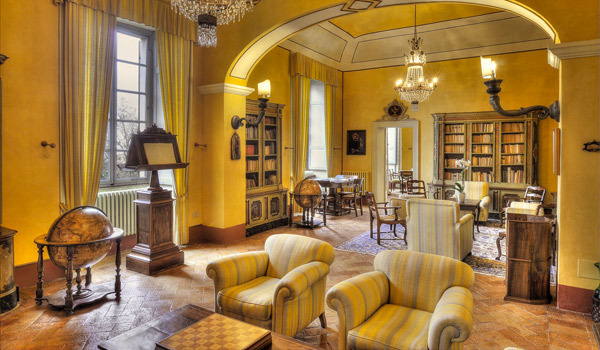 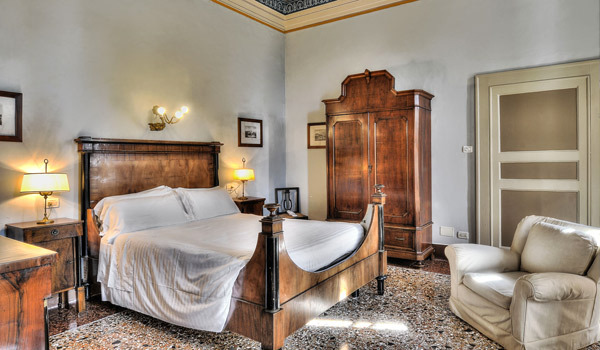 The atmosphere of the era remains intact and is one of the charming features of the Castello di Monterado, where you can stay in elegant rooms boasting all mod cons, in the spacious suites and also in one of the apartments in a restructured historic building. 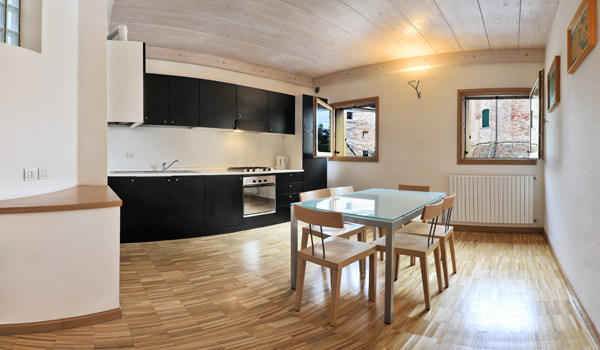 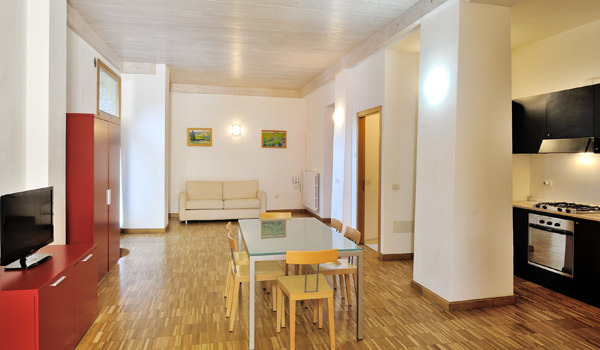 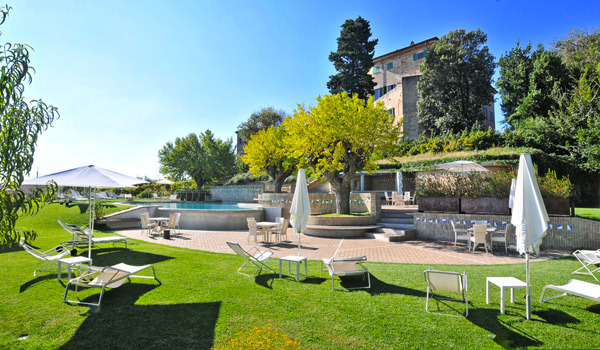 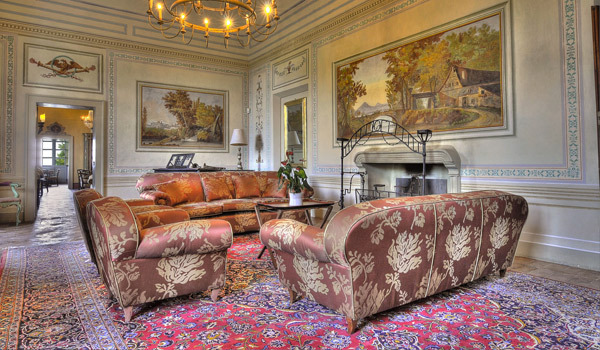 Spacious and gorgeous both inside and out, with an Italian garden, an outdoor pool and woods. 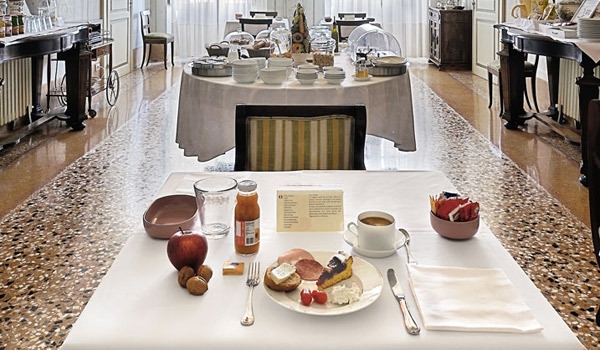 The hotel has all the space you need to make any event an unforgettable and unique one. 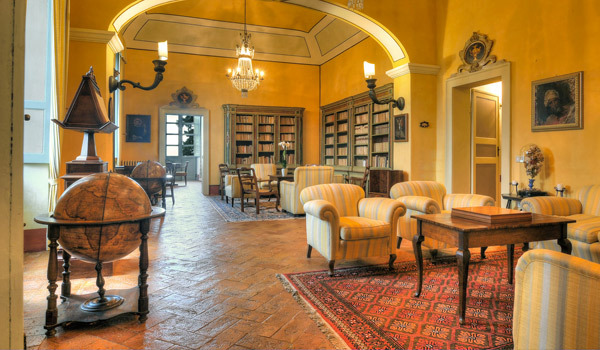 Available to guests at the hotel is a large lounge, an elegant dining room where breakfast is served, with its beautiful décor, a pool room and a library. 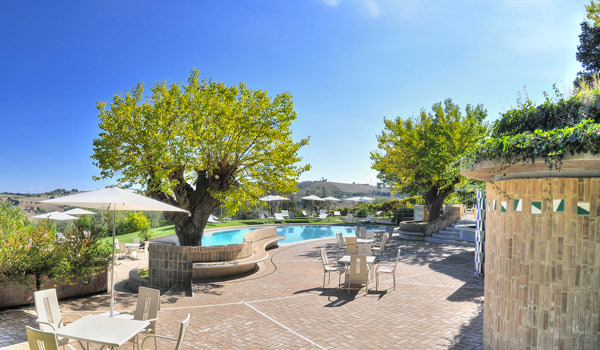 During the summer months a poolside bar service is also available. 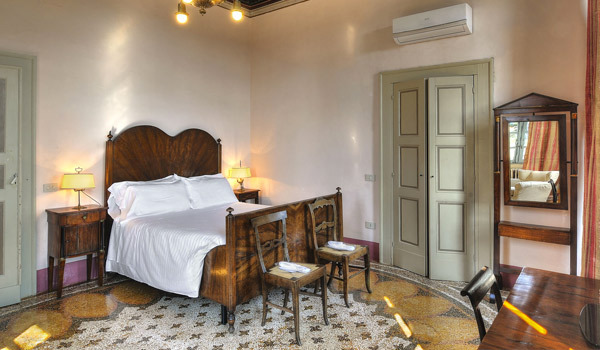 There are 8 Superior rooms in total at the Castello di Monterado each dedicated to a different theme and furnished accordingly. 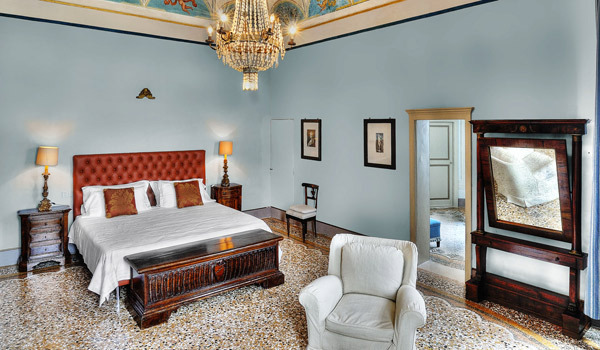 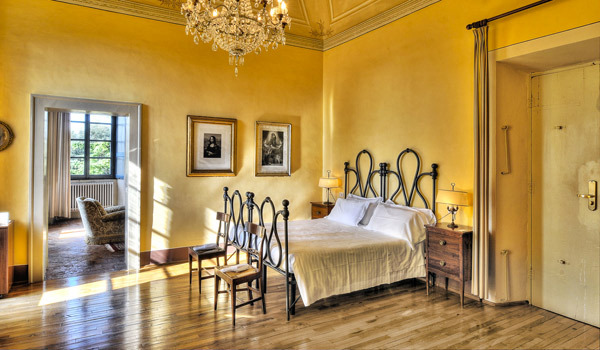 The three spacious Suites with a living area a bedroom with a double bed are distinguished instead by their frescos and original works of art. 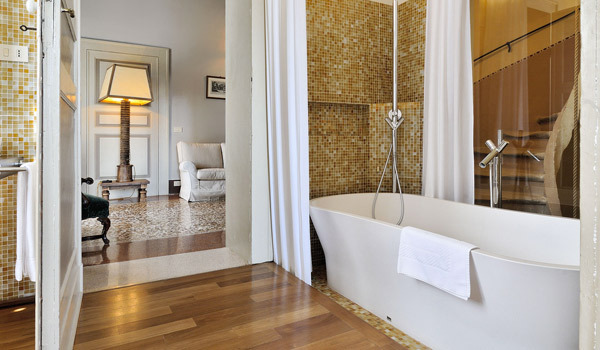 The Prince’s Suite, made for Prince Maximilian de Beauharnais for his honeymoon with the daughter of Tsar Nicolas I of Russia, is made up of two lounges, a spacious terrace, a large stone bath in the bathroom and shower room with chromotherapy. 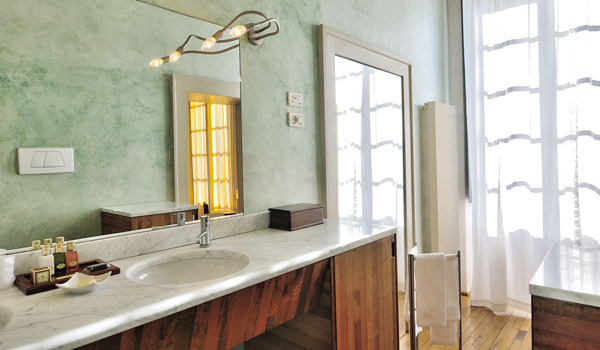 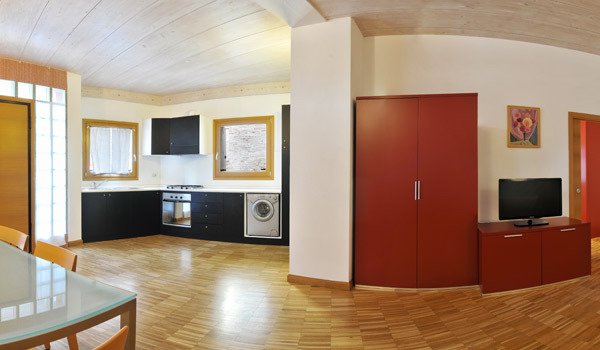 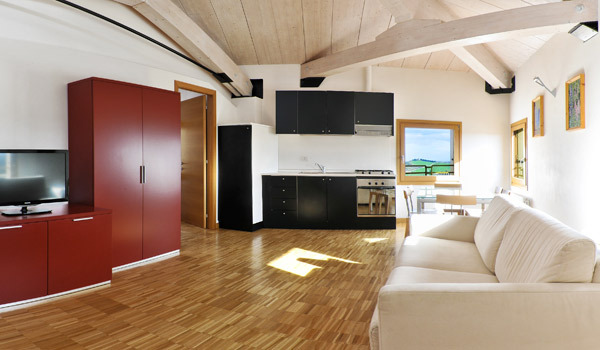 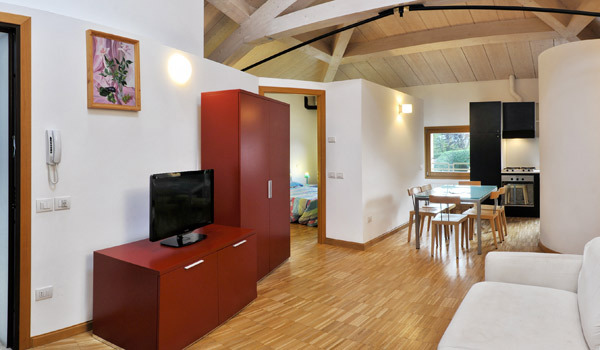 All of the rooms have air conditioning, satellite TV, a safe, a minibar and free Wi-Fi. 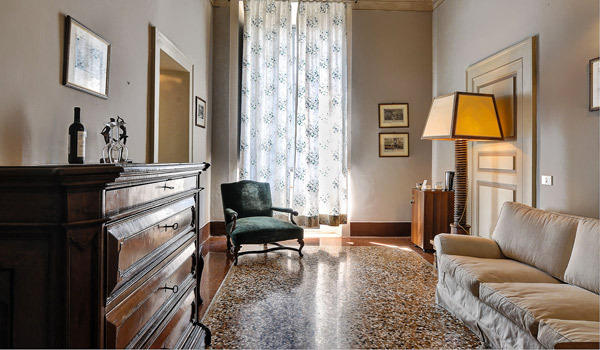 6 Apartments are also available in a historical structure facing the hotel, all finely furnished and boasting an equipped kitchenette. 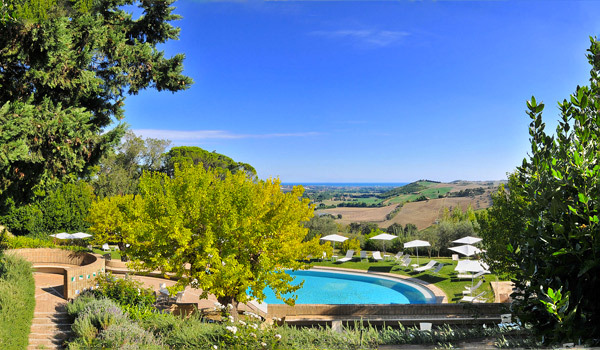 From the village of Monterado it is quite easy to reach some of the Marche’s most interesting nature sites and tourist hotspots. 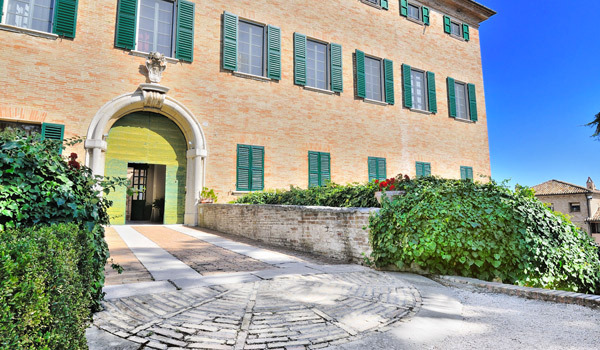 Heading towards the sea, just a few kilometres away, is Senigallia, one of the main tourist attractions in the region. 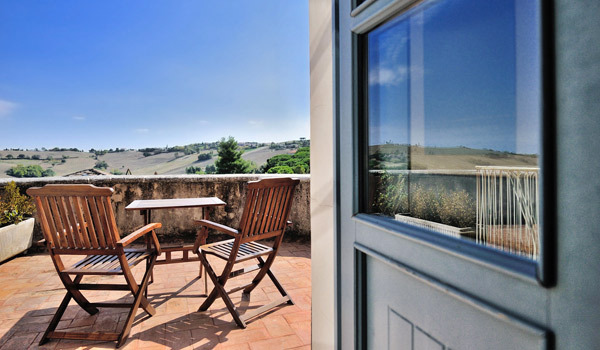 Heading further inland, less than one hour away by car, is Urbino, the birthplace of Raffaello Sanzio, with the Cathedral built by Federico da Montefeltro, the Ducal Palace and the National gallery of the Marche, rich in works from the renaissance. 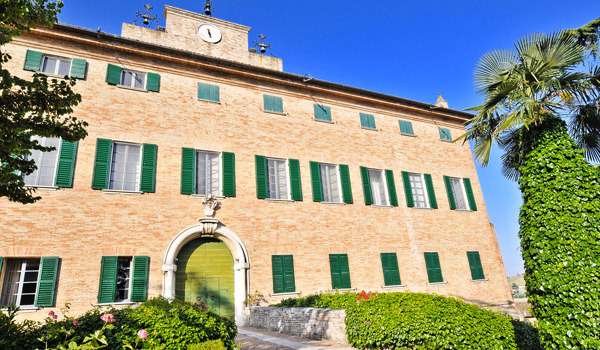 Closer to the hotel are other attractions, such as Corinaldo, among the most beautiful of Italian villages (voted most beautiful in 2007) and birthplace of Saint Maria Goretti. 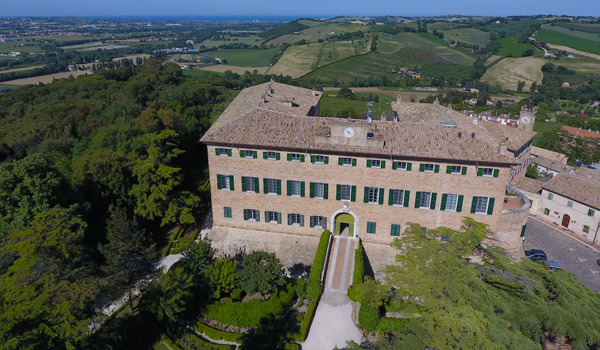 Another interesting site nearby is Mondavio with its beautiful castle and the picturesque walls and San Lorenzo in Campo home of a Romanesque-Gothic church and the 16th century Palazzo Della Rovere. 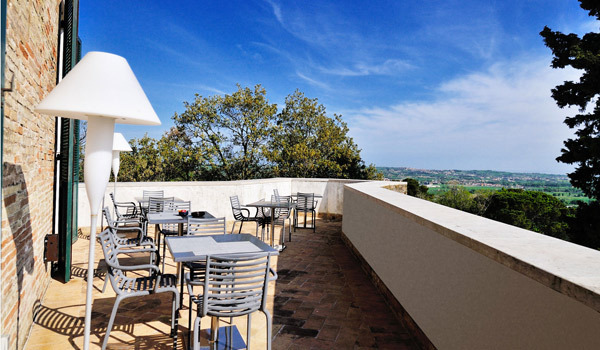 Other worthwhile places to visit in the region are the caves of Frasassi, where you can admire different natural formations, creating stunning natural beauty, a work of art created over 190 million years from the interaction of the limestone and water.